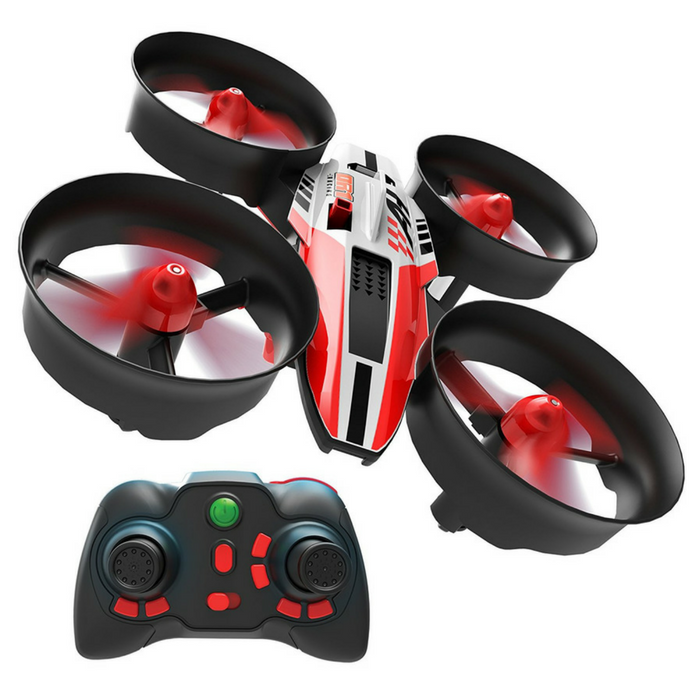 Air Hogs Micro Race Drone Just $19.99! Down From $40! You are here: Home / Great Deals / Amazon Deals / Air Hogs Micro Race Drone Just $19.99! Down From $40! Air Hogs Micro Race Drone is now on sale at Amazon for just $19.99 down from $39.99 PLUS FREE shipping with Amazon Prime or for orders $25 and above! Hone your drone piloting skills with the Air Hogs DR1 Micro Race Drone. Whether you’re an aspiring drone racer or a seasoned veteran, this quadcopter drone delivers high-speed thrills in an easy-to-pilot design suitable for kids aged 8 years and older. Flight-assist technology facilitates a smooth flight from launch to landing, while beginner and advanced modes help you master the basics of piloting. This RC racing drone also features an ultra-compact design that moves nimbly through tight spaces, making it ideal for indoor flying. With its crash-resistant frame and ducted propellers, it is engineered to withstand high-speed tumbles and crashes. Compete in adrenaline-fueled indoor drone racing with the Air Hogs DR1 Micro Race Drone. Coming in at 3” x 3” x 1”, this nimble flyer is perfect for agility in small spaces. Flight assist technology with automatic take-off, height-lock and landing makes taking to the air and racing back to base a cinch for even first-time flyers. Engineered with durable ducted propellers, the DR1 is a tough drone capable of enduring tumbles and crashes. Drone for kids aged 8+. Drone charges via USB. 4-Channel controller requires 2 x AAA batteries, not included. Communication frequency of 2.4 GHz. Charge for 30 minutes, fly for 7 minutes.